BODY WORLDS Vital is an all-new, unique exhibition celebrating the wonder, resilience and fragility of the human body. Visitors will get a detailed look at the human body and its keenly intelligent design, explore how it functions and see what happens when disease strikes. This internationally acclaimed exhibition opens at the Sci-Bono Discovery Centre in Newtown, Johannesburg on Tuesday, 1 March 2016. Tickets are available now at www.bodyworldsvital.co.za and Webtickets www.webticket.co.za. Visitors to the exhibition will be able to explore human anatomy, physiology and health through around 180 authentic whole-body plastinates, individual organs and transparent body slices. A pair of figure skaters performing a skilful lift, a soccer player dribbling a ball and a chess player plotting his next move illustrate the body like never before. Healthy and diseased organs are shown alongside each other, while displays of the nervous and cardiovascular systems show the intricacies of our complex body. Specimens are permanently preserved through the process of plastination, invented by famed anatomist, Dr Gunther von Hagens. Bodies on display have been willed by donors for plastination to increase public awareness of the human body. To date, more than 15,000 donors around the world have bequeathed their bodies to Dr von Hagens’ Institute for Plastination after death. As a guideline, BODY WORLDS Vital is recommended for children aged 8+. Children should be accompanied by an adult. Parents are invited to download the comprehensive Family Guide from the www.bodyworldsvital.co.za website to complement their visit. Great World Exhibitions is South Africa’s leading promoter and presenter of internationally acclaimed touring exhibitions. Their objectives is to entertain, educate and inspire South Africans. They achieve this by showcasing the most exceptional and innovative exhibitions that captivate audiences all over the world. 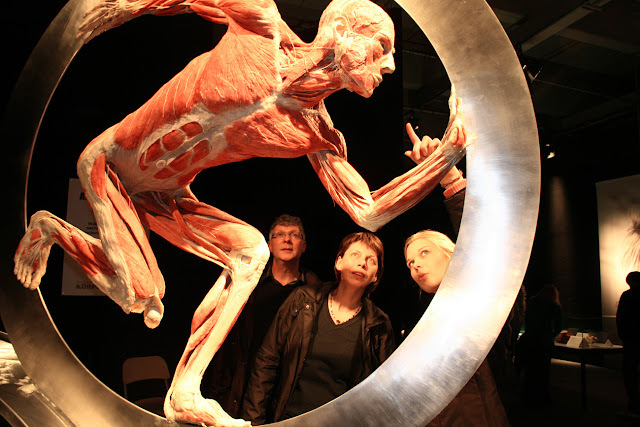 Since 2012, the team has successfully promoted and run three BODY WORLDS & The Cycle of Life and two Da Vinci – The Genius exhibitions at prime locations in Johannesburg and Cape Town. The most recent venture, TUTANKHAMUN – His Tomb and His Treasures opened at Silverstar Casino in December 2014. The exhibition enjoyed great popularity in Gauteng and then transferred to GrandWest, Cape Town in June 2015. BODY WORLDS Vital, which opens in Johannesburg on 1 March 2016, is the latest international exhibition brought to SA by Great World Exhibitions.